Targetting Prime Minister Narendra Modi over the Dadri lynching, the CPI(M) has alleged that the incident would not have happened without his "blessings". 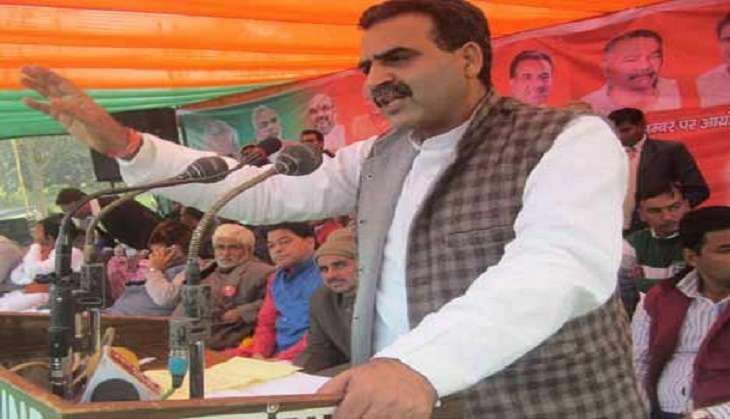 The party has also demanded that Union Minister Sanjeev Balyan be sacked for making "provocative" statements. "In which case he (Modi) hasn't blessed (party men)? Besides common man, he has blessed all such (communal) incidents... What's happening in Dadri, no such violence can happen without his blessings," party general secretary Sitaram Yechury said on 9 June. Yechury made these remarks during a press briefing where he released a booklet on two years of Modi government. Recalling how Modi had bowed before the Parliament House calling it a "temple of democracy" - the first time that he entered it - Yechury said that despite this gesture, BJP leaders made allegedly inflammatory statements. "We had, at that time only, asked for an assurance from him that law of the land will prevail in the country in the wake of (provocative) slogans. It has been two years, he hasn't given that assurance until now. What does this indicate towards?" he said. CPI(M) Politburo member Brinda Karat, who was present at the press meet, said Balyan could not have continued in the government despite making "anti-humanity" statements without Modi's "blessings". "Modiji should answer how Sanjeev Balyan continues to be in Council of Ministers? Is it possible that he continues to be there despite making such provocative, anti-Constitutional and anti-humanity statement without Modiji's blessings? Balyan should be sacked immediately," she demanded. On 8 June, Balyan sought a probe to ascertain who had eaten the meat recovered outside the residence of 50-year-old Mohammad Akhlaq - who was lynched by a mob in Dadri's Bishada village following rumour that his family stored and ate beef at their house in September last year. The statement from Balyan, Union Minister of State for Agriculture, had come after a forensic report said the meat sample collected from outside Akhlaq's house belonged to a "cow or its progeny". On Mathura violence, Yechury said it is the onus of the government to ensure "such atmosphere" does not develop in the first place. Twenty-nine people, including then SP (City) Mukul Dwivedi and Station House Officer (Farah) Santosh Yadav, were killed during clashes between police and encroachers at Jawahar Bagh in Mathura last week.